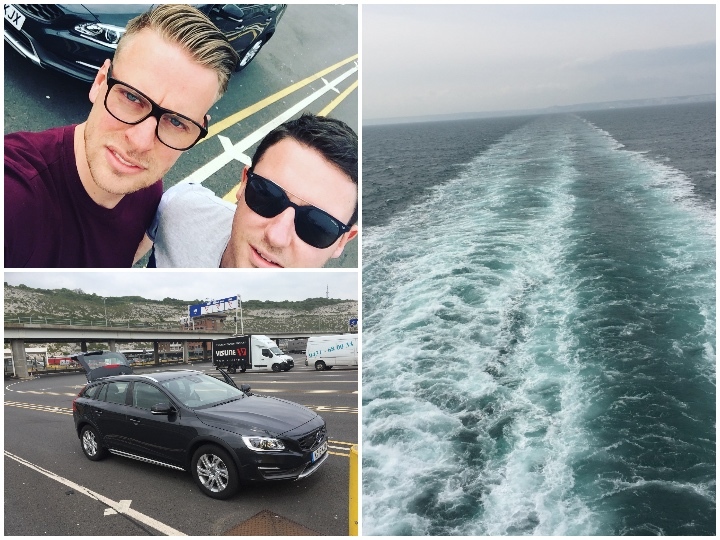 Last Thursday, Andy and I set off on a 1000-mile journey in search of our Lovecars colleagues! The journey saw us road tripping from Bristol in the southwest of England all the way down to Cannes in the south of France. Luckily enough for us, we were given the latest Volvo V60 by the fantastic people from Volvo UK, which became our trusty set of wheels for the long journey ahead. First stop: Dover, UK to catch the ferry across the pond! As you can see above, we safely made it to the ferry and were able to book the next possible crossing to Calais via Direct Ferries, which only takes an hour and a half and gives you an opportunity to relax and have some food. 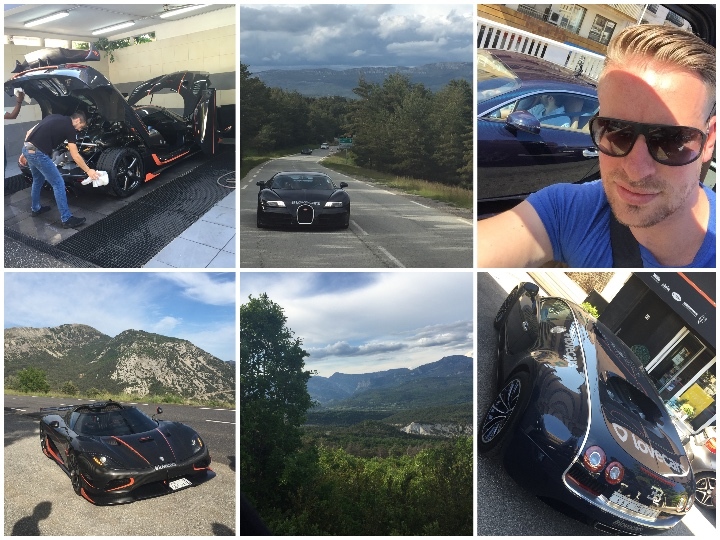 Having done the UK leg from our homes to the port myself, Andy then took the wheel in France. We managed to make huge progress on day one and got within 3-4 hours of our final destination, which meant we only had a short drive the following morning to get to where we needed to be. We found a budget hotel and posted up for a night’s sleep! The following morning, we woke up with a spring in our step as we knew we’d gotten the worst of the journey over and done with (4 hours’ drive in the UK and 6 in France). We grabbed some pain au chocolat from the local bakery and headed off to continue our drive to Cannes. We were heading to meet our colleagues from Lovecars who had spent the previous week attending and co-hosting the Italian Cars and Coffee event, which one of our fantastic team members Gab co-organises! After their trip to Milan, they crossed the border into France with some close company friends and their incredible supercars. 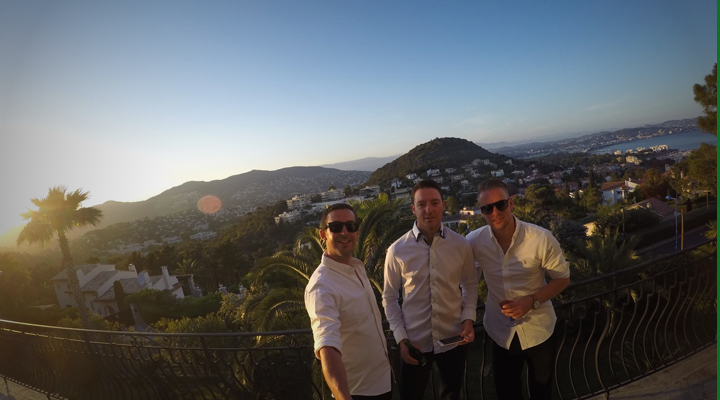 They managed to rent out a luxury villa down on the south coast overlooking the beach and the town of Cannes. Being film festival week, the city was abuzz with beautiful cars, famous and wealthy people, and lots of things going on. Below are a few images of our accommodation; however, they don’t do it justice! 6 en suite bedrooms, an infinity pool, and views across the beaches and town to die for. We arrived early afternoon on the Friday after close to a 12 hours’ drive in the Volvo (which I have to say was amazing and very comfortable to spend so much time in). We will be fully reviewing the V60 on our Lovecars blog sometime next week, but it was a really comfortable car to be in and the fuel consumption was incredible! We only had to slightly top up the full tank to get ourselves all the way down to the French Riviera. We were greeted by our two colleagues who already had a bottle of champagne open for us ready by the pool and the weather couldn’t have been better. That drive was well worth it…….man, this place! One of our colleagues Paul had to leave us to fly home for the weekend so the three of us left spent the rest of the day messing about poolside, admiring the views, and drinking a little too much of the alcohol we stocked up on in the fridge (Some of us more than others. I admit guys, ok?!). The following day was all about exploring the local area. 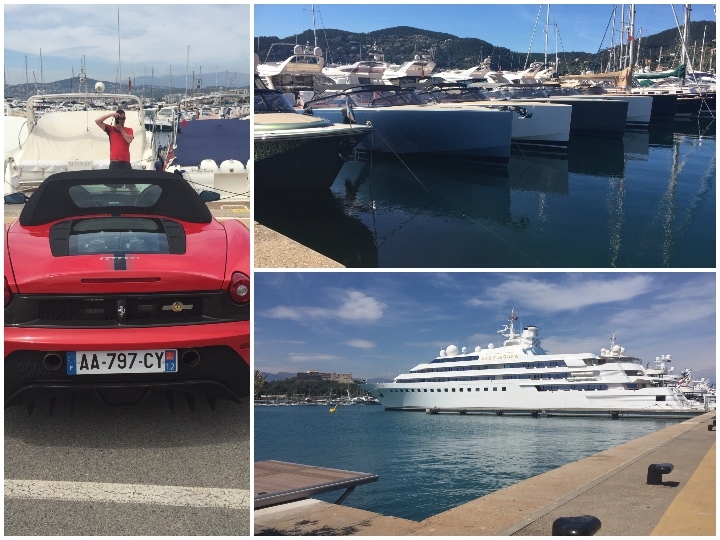 We visited the local town of Mandelieu-La Napoule with its stunning beaches and ports outlined with boats, yachts and wealthy people’s toys. Walking around the marina and ports was one of the best sources of inspiration I’ve had in the past year. A lot of people were looking at the yachts and such, questioning which celebrity owned them or how much they cost, whereas our conversation was more “when we achieve our goals, which one will you be buying”. I certainly came away that day with a lot on my mind! That evening, the three of us all turned up on our balcony ready for a night out in Cannes, little to each other’s knowledge dressed in the exact same outfit…..idiots! Nevertheless, we went with it. I mean who doesn’t think 3 guys in white shirts and dark jeans look awesome…..right? We enjoyed some drinks and a nice meal in the local area before booking an Uber into the main strip in Cannes where it was all happening. The Uber just so happened to be a brand new Mercedes S Class, which until then none of us had driven in. It’s a car we see a lot, but it was great to actually experience a ride in one. It’s an incredibly spacious and beautiful car, definitely built to be chauffeured in. We sat in a bar on the main strip, sipping our drinks and watching the cars and people move on past us. No exaggeration, every other car was a super or luxury car from Ferrari’s to Lamborghini’s and everything in between. People were dressed in their tuxedos and on their way to the red carpet shows for the film festival. We probably saw countless celebrities, but being from Lovecars, all our eyes were on the motors! We spent the evening moving from bar to bar and even managed to spend a whopping £10 in one of the casinos! Sunday was spent relaxing by the pool, but our business partner and founder of Lovecars Paul rejoined us and we also were joined by our business developer early Monday. Let’s have some fun with the cars! 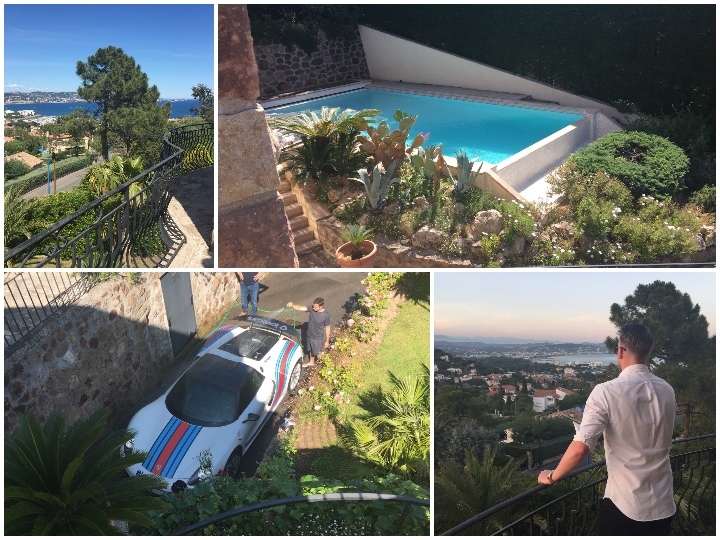 If you’re friends with me on Facebook, you will see we weren’t only joined by our colleagues in the villa, but we were also joined by some VERY special cars, including a Porsche 918! On Monday, we started to plan out our first ever Facebook Live video stream. The guys pulled the 918 out of the garage and parked it up on a lovely spot overlooking the marina close to our villa. Paul with the help of us and the team recorded our first ever “car walkthrough” as he effortlessly answered questions about the car from our 1.3 million Facebook fans. We managed to get several thousand people watching live and the video received thousands more views in the hours that followed with some great feedback. Be sure to check out the video here on our Facebook page. The next day, we linked up with another few of the company’s friends for an organised photo shoot and drive into Grasse and to experience the Route Napoleon. We invited a few local photographers including Arnaud Taquet – who is worth a follow on Instagram – and UK car spotter and photographer Alex Penfold. However, the real stars of the show were the two supercars we had with us courtesy of Hussein and Madjed, two Lovecars users and very close friends of the company. The cars: the Bugatti Veyron Super Sport and the Koenigsegg Agera RS. We first took the cars to the local car wash, which certainly had the young lads who worked there a little flustered. They did a great job in cleaning them up, and we then moved out to meet our friends and join the route. The owners also let us put @Lovecars stickers all over the car which was a class touch. In fact, so insane that we spent the next 6 hours tearing up the roads and taking some incredible pictures of the cars from the back of our G-Class with the beautiful French scenery behind us in the backdrop. The next day, we were lucky enough to get up close and personal with the cars as the team shot another Facebook Live video review of each. The more people you can get to comment, the more people will see your video. We planned to ask many questions in the Live session, and Paul did an amazing job in getting over a thousand comments in 10 minutes, which resulted in over 130,000 people being reached within an hour! 130,000 people in one hour…….Facebook Live is HOT! The rest of the trip was focused on relaxing with our friends and discussing future plans, work and meet-ups! I’d like to personally thank my business partner Paul for sorting everything out, my colleagues for ensuring the trip was unforgettable, and our incredible, incredible, incredible friends who let us have free rein on their cars. Also, here’s a shout-out to Volvo for lending us the V60! This trip was a big eye-opener and hugely inspirational for me. We’re already planning the next takeover coming soon! Until then, feedback is welcome, ask any questions, and be sure to sign up to Lovecars for all the latest news, footage and exclusive car access!